On Monday, City Officials conducted a Neighborhood Action Team (NAT) sweep on Johnson Street. 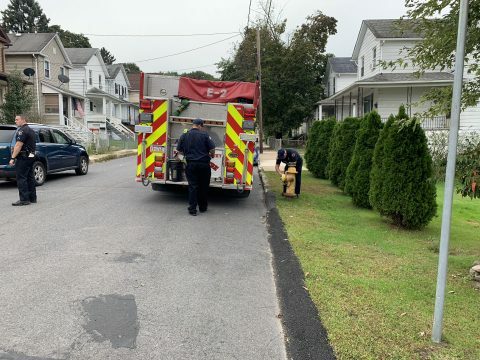 This sweep resulted in 16 properties receiving Notices of Violation and one verbal warning for issues such as inoperable vehicles, boats and campers on street, roof and gutter repairs, electrical service cable replacement. The Police Department tagged 5 abandoned vehicles and issued 1 handicapped parking violation. The Fire Bureau checked hydrants in the area. The Facilities Management team and DPW performed maintenance work such as trimming weeds and brush. Property owners receiving notices are required to contact Code Enforcement within 24 hours of a notice to develop a plan of action. They are given up to 24 hours to correct violations such as high grass and up to 30 days (or more) to address more substantial issues. No actual fines or citations are issued during NAT sweeps. 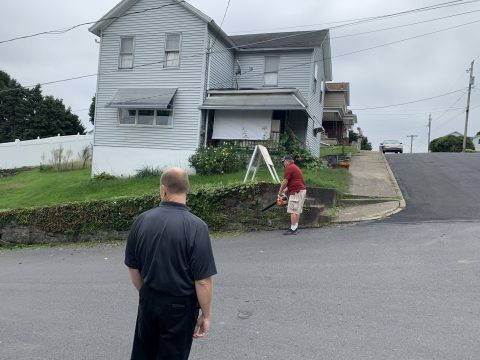 The purpose of the sweeps are to improve the neighborhoods and quality of life of our residents, and to remind homeowners of their obligation to maintain their properties in a safe and code compliant manner. The City utilizes the International Property Maintenance Code (IPMC) as published by the International Code Council for these standards. The International Code Council is dedicated to developing model codes and standards used in the design, build and compliance process to construct safe, sustainable, affordable and resilient structures. Most U.S. communities and many global markets choose the International Codes. More information about the IPMC may be found at https://codes.iccsafe.org/public/collections/I-Codes. An abandoned vehicle is one that does not have a current inspection. Vehicle owners are given 7 days to obtain an inspection before further enforcement action occurs. More unannounced sweeps will continue to occur throughout the City.